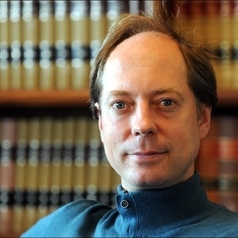 The law of politics, especially electoral law, is Graeme Orr's primary research expertise. His books include The Law of Politics (2019, 2nd ed and 2010, 1st ed), Ritual and Rhythm in Electoral Systems (2015), and (with Dr Ron Levy) The Law of Deliberative Democracy (2016). He co-edited Realising Democracy (2003), Electoral Democracy: Australian Prospects (2011) and The Cambridge Handbook of Deliberative Constitutionalism (2018) as well as several symposia on the law of politics. He wrote his PhD thesis on electoral bribery. Graeme does consultancy/pro bono work in the field and regular media commentary, with over 100 commentaries in major print and online outlets. Until 2016 he was International Editor of the Election Law Journal. He has also published extensively in labour law, the law of negligence and on issues of language and law. Although he had limited experience as a legal practitioner, Graeme was twice an Associate to Federal Court judges and admitted solicitor of the Queensland Supreme Court. Graeme currently authors the entry on Australia for the Annual Register, a 255 year old almanac of world affairs. In 2014 he was elected to the Australian Academy of Law. He is married to Dr Dingle, a clinical psychologist academic, and has two exquisite and irascible girls.